I want to be able to capture all receipts that a point of sale system sends to the printer and send them to an external system. I have seen some limited information on line about the "VeryDOC Printer Capturer" that seems to do the job. Can you send me further information about that? 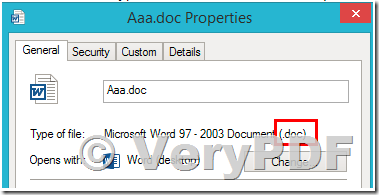 >>How to get VeryDOC Printer Capturer? With VeryPDF HookPrinter SDK software, you can capture printer output that would normally go to a communications port such as LPT1. Useful for second stage processing such as creating PDF files, ripping, or distribution of printer output. 4. OK, the original printing process will continue and without any interruption, but you will get PDF, PS, EPS, TIF, JPG, PNG, BMP, GIF, etc. formats during printing. You need set "Output folder" to save captured documents. You need click "Install HookPrinter" button to install Printer Capturer. You need click "Save&Close" button to close this dialog, and print a document to an arbitrary Windows Printer, you will get captured documents appear in predefined folder automatically. After you set the options, click "Save&Close" button to close this dialog, when an user print a document to docPrint, docPrint will redirect the print job to predefined printer properly. "-hookprinter" and "-forward-options" are two different printer capture and forwarding methods, you can choose either one according to your requirements. Solution 3. Print a document to docPrint or docPrint PDF Driver and save to a new PDF or image or other formats. This solution is simple, after you install the docPrint Pro software, you will see two printers appear in the Printer&Fax folder, docPrint and docPrint PDF Driver. You can simple print a document to docPrint or docPrint PDF Driver and save to a new PDF or image or other formats easily. We suggest you may download the trial version of above products from our website to try, if you encounter any problem with these products, please feel free to let us know, we will assist you asap. 1. a point of sale system is printing a receipt and I want the solution to capture the data. 4. the receipt shall be printed like before. I am unsure which product I should use, the SDK or the docPrint Printer Capturer. How is your licence structure? Is it a one time fee that I can distribute to as many point of sale units that I want? >>1. a point of sale system is printing a receipt and I want the solution to capture the data. >>4. the receipt shall be printed like before. >>I am unsure which product I should use, the SDK or the docPrint Printer Capturer. >>How is your licence structure? Is it a one time fee that I can distribute to as many point of sale units that I want? 1. Print to docPrint, docPrint will save to PDF or other specific format, and then forward the print job to target printer continue. 2. 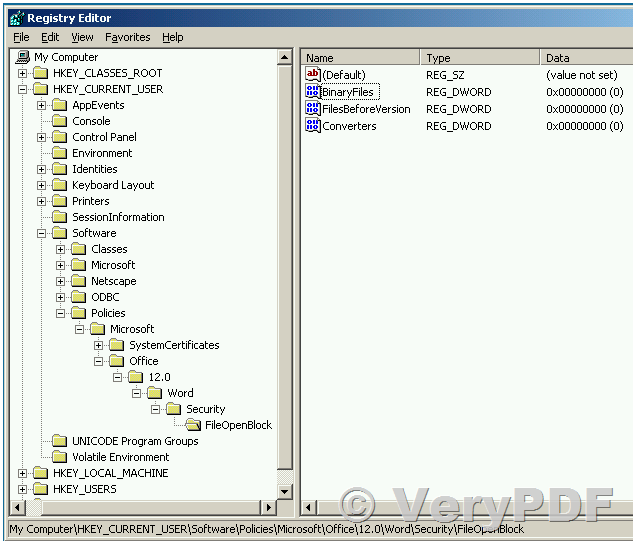 Force to hook all Windows Printers by "VeryPDF HookPrinter SDK" or "VeryPDF docPrint Printer Capturer". These software will install a Printer Hook Layer into Windows system, when you print a document to any Windows Printer, these software will capture print data and save to PDF or other formats, the original printing will not be affected. You can choose the different software according to your requirements. If above software can't 100% meet your requirements, we can also provide custom-build service to modify our software to best fit your requirements, this way will solve your problem completely, please feel free to let us know if you are interest in custom-build service. We are a DLP system developer and would like to have a functionality similar to "artprint.exe -hookprinter" in our DLP system. A user prints a document to a regular (local, network, third party virtual, whatever) printer (not to your virtual printer) as usual and the printing should be successful without any sings of the monitoring presence. The monitoring should just clone data the user prints to jpg/tiff/pdf (not important at the moment) files, page by page. "artprint.exe -hookprinter" works perfectly for that, but it requires docPrint installed. We would like to have the printer monitoring functionality integrated into our system completely though. that looks as a solution. But I was not able to make it operable standalone (without docPrint installed). Is it expected? Could you navigate me please? Also, if I might ask you, please make the developer license complete text available to me. >>I've found HookPrinter.zip on your site (http://www.verypdf.com/app/hookprinter/index.html) that looks as a solution. But I was not able to make it operable standalone (without docPrint installed). Is it expected? >>Could you navigate me please? If you encounter any problem with "HookPrinter SDK", please feel free to let us know, we will provide more assistance to you asap. 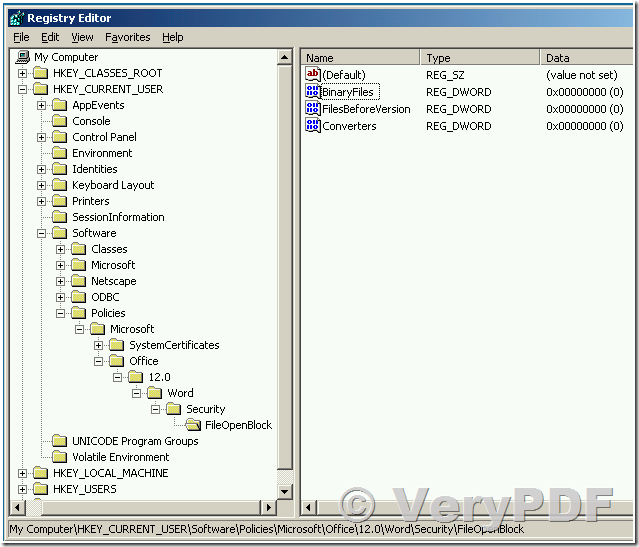 How to add a password to all Windows Printers? How to record print logs to a database? - On any windows machine that it is installed on, when a print job is submitted from any application, a popup appears asking for a password to continue. If correct password entered, allow job to print. Else raise error message and terminate job. - For every print job that is submitted, record the details into a database - text content in the print job, date and time of printing etc. We need this software to support windows 7 upwards, and any type of printer. Please provide an estimate of time required and cost for the same. Sure, this function can be done easily based on VeryPDF HookPrinter technology, we will write an email and talk with the technology details at later. 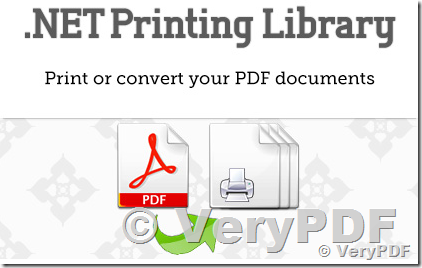 PDFPrinting.NET print library can be used to batch print PDF files without require Adobe Acrobat and Adobe Reader applications. Here you can take a quick look at the most important features of PDFPrinting.NET. Handles any PDF compression and encryption. Full control over margins and scaling. Advanced rasterization engine for image printing. Works perfectly on any kind of printer. Reduced spool size and faster spooling. Adheres strictly to pdf specification. Standalone solution without outside dependencies. Working with password protected PDF documents. Custom print properties. Set page range, landscape, copies, resolution, scaling, print in color, paper size, source tray, collate, printer name or duplex. The below sample code demonstrates how to set those settings manually through your code. Silent printing enables you to print out documents in the background without user intervention. The below code sample will print out the PDF document to your default printer with default settings. Silent printing with already installed Adobe Reader. In case you would like to print using Adobe Reader for some specific document where our rendering doesn't meet your needs. The below sample code will invoke Adobe Reader in the background without being visible and print out the document. You are attempting to open a file that is blocked by your registry policy setting. You are attempting to open a file type <File Type> that has been blocked by your File Block settings in the Trust Center. You are attempting to save a file that is blocked by your registry policy setting. 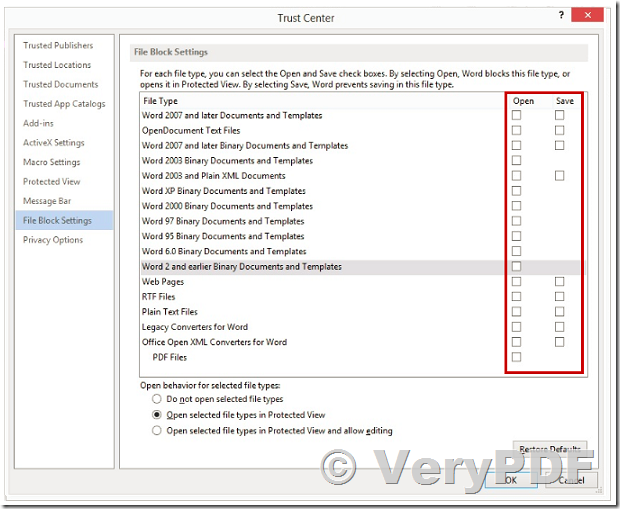 You are attempting to save a file type <File Type> that has been blocked by your File Block settings in the Trust Center. 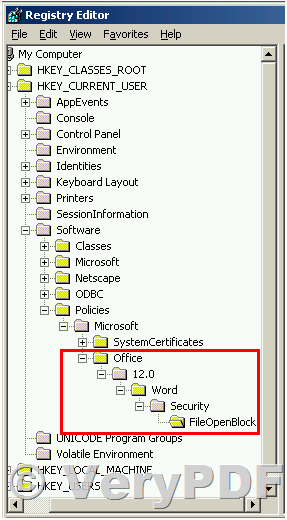 If you cannot open a file in Office 2013 or Office 2010, open a blank document to start the Office application. 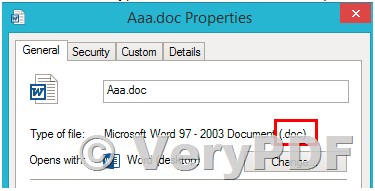 For example, if you cannot open a Word file, open a new document in Word 2013 or Word 2010 to see the option. In the Options window, click Trust Center > Trust Center Settings. In the Trust Center window, click File Block Settings, and then clear the "Open" or "Save" check box for the file type that you want to open or save. Note Clear the option means allow user to open or save the file. Check the option means block the file. Try to open or save the file that was blocked again. 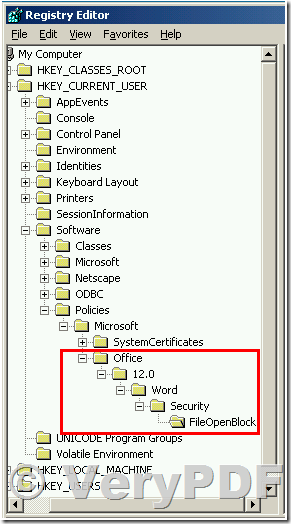 There is no "Trust Center" in Office 2007 or Office 2003. Therefore, you have to change the value of the FileOpenBlock registry subkey to disable the restriction of certain file types. Application_name should be the Office application (for example, Word, Excel, Powerpoint, Visio)that has the problem. After you select the subkey that is specified in step 3, locate the following DWORD value: BinaryFiles, FilesBeforeVersion and Converters. Right-click FileOpenBlock , select New, click DWORD Value, and then type BinaryFiles as the name of the DWORD Value. Right-click FileOpenBlock , select to New, click DWORD Value, and then type FilesBeforeVersion as the name. Right-click FileOpenBlock , select to New, click DWORD Value, and then type Converters as the name. For more information about these DWORD value, check the FileBlockOpen DWORD values list. Right-click the BinaryFiles DWORD value, and then click Modify. In the Value data box, type 0, and then click OK.
Set the Value data of the FilesBeforeVersion and Converters to 0. The following screenshot is a sample of Word 2007. Note Value data 0 means allow user to open the file. 1 means block the file. Determinate the type of the file that cannot be opened: Right-click the file and select Properties. Check the Type of file property. Check the FileBlockOpen DWORD values list, and find the corresponding DWORD value. Add the DWORD value into the FileOpenBlock subkey, and set the value data to 0. Based on the popular PDF Converter Services which build on VeryPDF Cloud API, a server based product intended for on-premise deployment, the PDF Converter Services Online is a subscription based service accessible via a REST based API as well as third party systems such as Microsoft Flow. 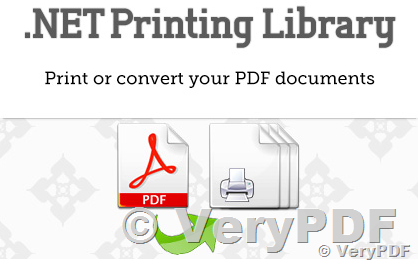 Convert a large number of file types to PDF with perfect fidelity. Apply PDF restrictions (restrict print, copying of content etc.). Carry out Optical Character Recognition (OCR). Microsoft Flow: The VeryPDF PDF Converter Service is included in Flow's list of standard services, there is nothing to install. Just create a flow, add a workflow action. The Convert Document one is good to start with. For more details see this Knowledge Base Article. REST Clients: API access has been launched and sample code for the likes of Python, Ruby, Java, .NET, PHP, CURL will follow shortly. Swagger clients: The REST API uses a Swagger based API definition file to describe the available services. Any platform that understands Swagger can consume this file to access the API. The same file can be used to generate client and server libraries for the platform of your choice using editor.swagger.io. This is a very actively developed product. Check back often or contact us for more information.